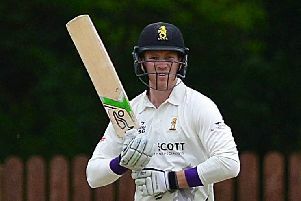 Northern Knights captain James Shannon is leaving Instonians to play his club cricket at Dublin side Phoenix. 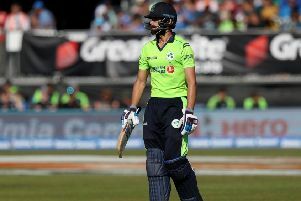 The 28-year-old batsman, who is currently on tour in Sri Lanka with Ireland Wolves, confirmed the news in two tweets on Monday, bringing an end a long association with his boyhood club. In a tweet, Instonians also confirmed the departure of a batsman who has played for the Shaw’s Bridge club at all levels. Shannon is the current captain of the Northern Knights, but his move won’t affect his ability to play for the NCU side as contracted players have the right to play for whichever province they want. In 211 matches for the Shaw’s Bridge side, he scored 5,769 runs at 37.46, which included seven centuries and 35 fifties. He proved a useful option with the ball too, taking 117 wickets at just over 24, which included two five-wicket hauls, and a hat-trick against CIYMS in 2012. Phoenix beat off interest from at least four other clubs, and it represents a major coup for the Dublin club to persuade a player of Shannon’s calibre to join them at Phoenix Park. It marks a major turnaround in their fortunes after they finished bottom of the Premier Division last season. Shannon has made 19 appearances for Ireland since his debut back in 2012, when he scored a half century against South Africa A. 11 of his 19 caps have come in the T20 format, with the 28 year-old hitting his top score of 60 against India at Malahide last year. He is currently touring Sri Lanka with the Ireland Wolves, scoring a run-a-ball 67 in their opening 50-over game against Sri Lanka A at the weekend. However, he was dismissed for a duck as the Wolves were thumped by 150 runs in Monday’s second match.